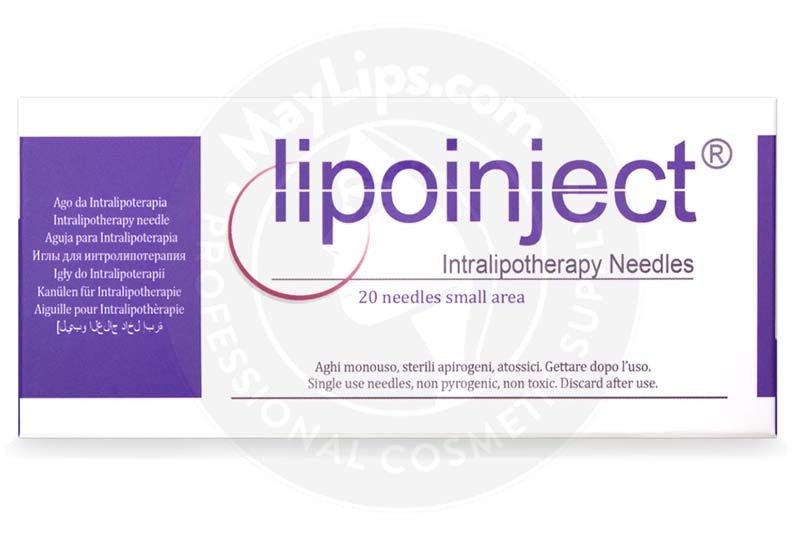 Lipoinject are specially designed needles that are used for intralipothery injections. 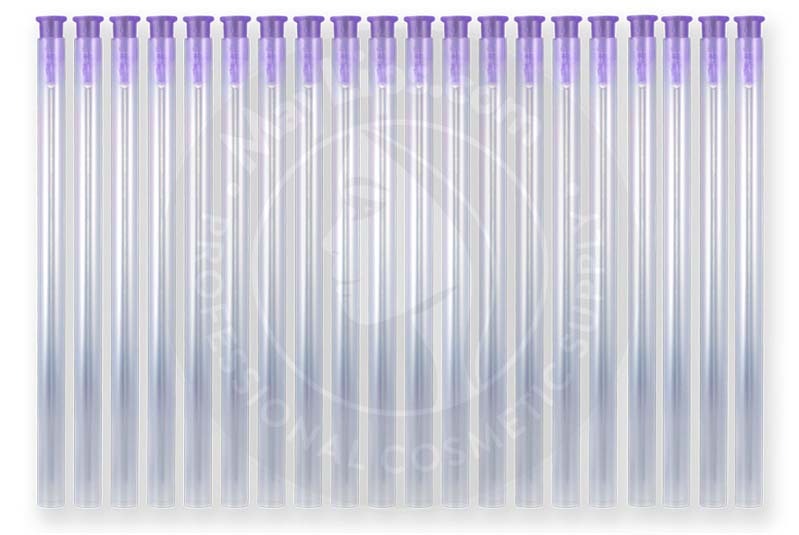 Use these needles to inject fat-dissolving solutions such as Aqualyx (also known as Motolese’s Solution) or Kybella. 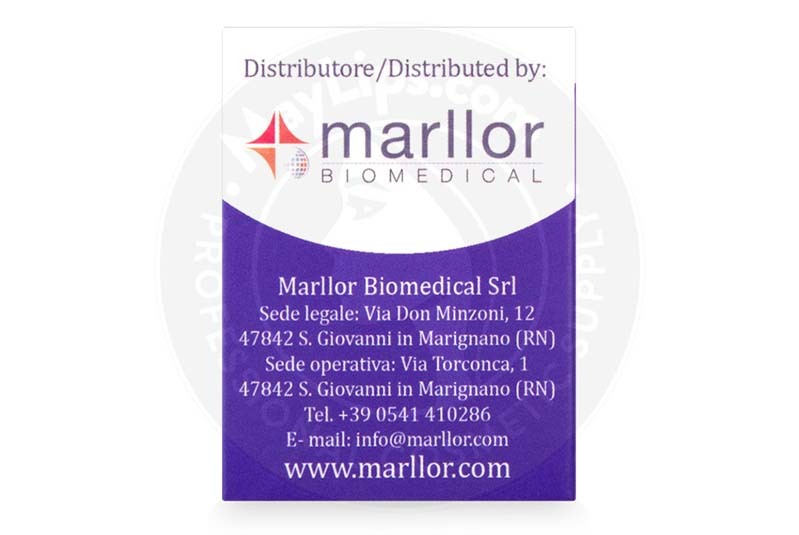 Produced in Italy by manufacturer Marllor Biomedical, these needles are available in 2 different sizes, which should be used for the treatment of different areas of stubborn localized fat deposits. They are available as either 25G 0.50 x 70mm needles to treat small areas, or 24G 0.55 x 100mm needles to treat medium to large areas. 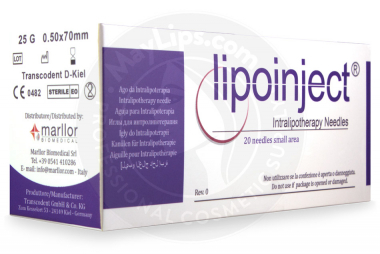 A single package of Lipoinject comes with 20 non-pyrogenic and non-toxic needles made of high-quality steel. The specially designed needles are strong enough to easily pierce through to the adipose tissue, but are fine enough that they cause minimal pain. The needles should be stored in sealed packages to maintain sterility and should not be used if the plastic packaging is open. These needles are specifically used for intralipotherapy, which is an injection technique employed to rid the patient of unwanted fat. 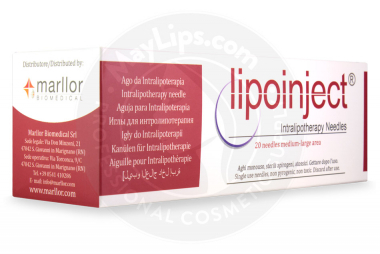 The end goal of intralipotherapy is to help the patient achieve a more contoured body by dissolving the fat in stubborn, typically diet-resistant areas of the body. These treatments can be effective in removing fat deposits in the chin, stomach, hips, buttocks, thighs, knees, and even the breast area in men who suffer from pseudogynecomastia. As well, it can help reduce the size of humps on the upper back, which may be known as buffalo humps. These needles are designed to easily penetrate into the adipose tissue, ensuring that the fat-dissolving solution can be injected directly into its target area. 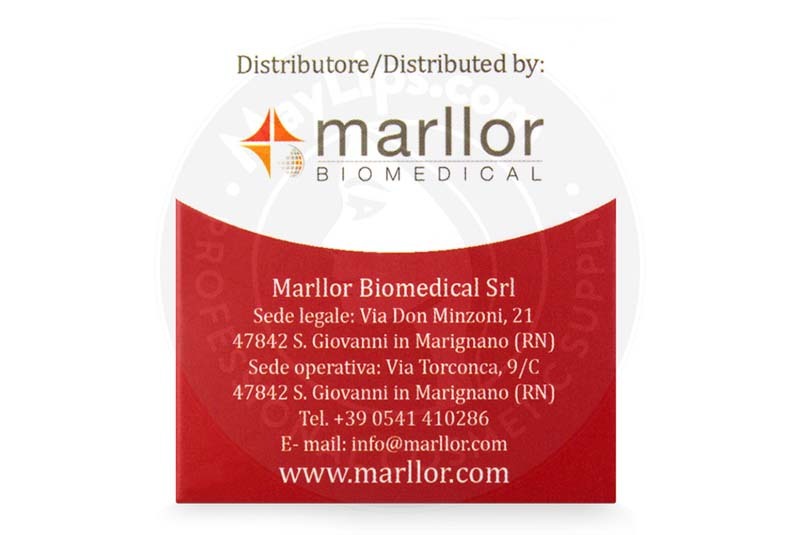 Lipoinject needles are typically used to treat patients with products such as Aqualyx, which is also manufactured by Marllor Biomedical. How do these needles work? 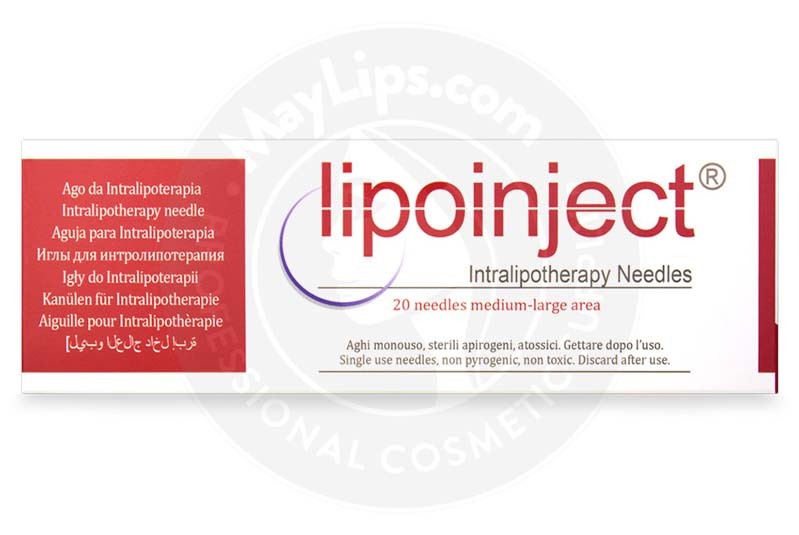 Lipoinject needles are designed for strength and thinness, ensuring their ability to penetrate through layers of the dermis into the adipose tissue painlessly. Once the needle has reached the adipose layer, the fat-dissolving solution is injected, allowing the solution to saturate the tissue homogeneously, resulting in the liquefaction of the fat cells. As the fat cells dissolve, lipids are released, which the body is then able to eliminate naturally, resulting in the destruction of the fat cell. After the solution is injected, doctors may also choose to use an ultrasound device over the treatment area, which essentially shakes the weakened fat cells, allowing them to break up more quickly. Once the fats have been excreted from the body due to this process, the area that was treated will have reduced fat content and will result in a slimmer and more contoured appearance. 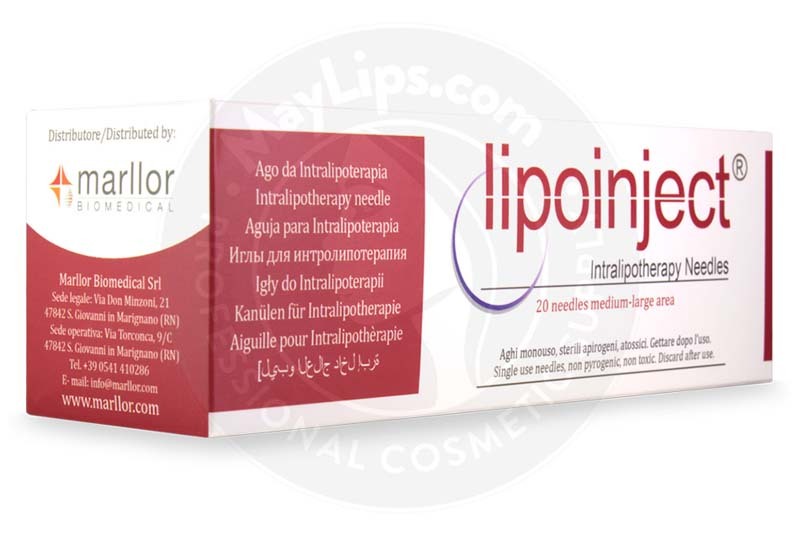 Only medical professionals who are licensed in accordance with local legislation should use Lipoinject intralipotherpy needles for the injection of fat-dissolving solutions. The first step in this treatment is to determine which of the 2 Lipoinject needle sizes you will need, and this will depend on the size of the area to be treated—either small or medium–large. Once you’ve determined the size, make sure the needle’s packaging has remained sterile and has not been opened. Remove the needle and assemble it to a syringe. Prepare the treatment area by disinfecting the injection site, and then draw the fat-dissolving solution into the syringe. Apply a slight amount of pressure to the syringe plunger until a small drop of liquid appears to ensure there is no air. Inject the needle into the prepared treatment area, injecting into the adipose tissue. A treatment session will typically require injection into 2 different injection sites in the area of treatment. This can then be followed by the use of ultrasound to help dissolve the fat cells. Once the injection is completed, dispose of the needles in the proper containers. Always read the full instructions included with the fat-dissolving product you are using prior to injection. Each Lipoinject needle is only intended for single use. A complete intralipotherapy treatment can involve between 2 to 8 treatment sessions, depending on the area being treated and the condition of the area. These treatment sessions should be able 3 to 4 weeks apart, and 2 sessions should never take place less than fifteen days apart. The fat cells that are destroyed through intralipotherapy treatment will not re-form once treatment is complete, meaning results should be permanent. However, the patient does run the risk of forming new fat cells due to weight gain in the treated areas, so diet and exercise play a large role in the lasting effect of the results. The use of Lipoinject to administer fat-dissolving solutions allows patients to choose a non-surgical, minimally invasive procedure that is much less risky than other available procedures that produce similar results. There are some precautions of which the medical practitioner should be made aware before treatment in order for the safest results. As these needles are intended for single-use, the needles should never be resterilised for use on more than 1 patient. Patients should also be advised to avoid the use of makeup in the injected area for at least 12 hours after treatment, and to avoid exposure to extreme heat or sources of UV radiation, such as the sun, sauna, or fireplace. It is always important to discuss the patient’s medical history before treatment and for the patient to disclose any history of allergy or hypersensitivity. 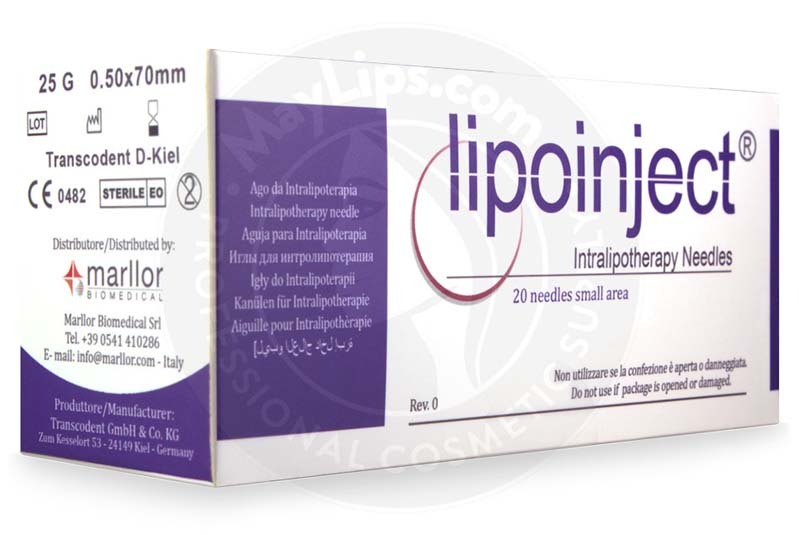 There are some mild potential side effects associated with the use of Lipoinject, and any side effects experienced should resolve themselves within a week. While this product and procedure may be suitable for many patients, the manufacturer suggests caution when using these needles for patients with bleeding disorders. Lipoinject needles are made of high-quality German steel. 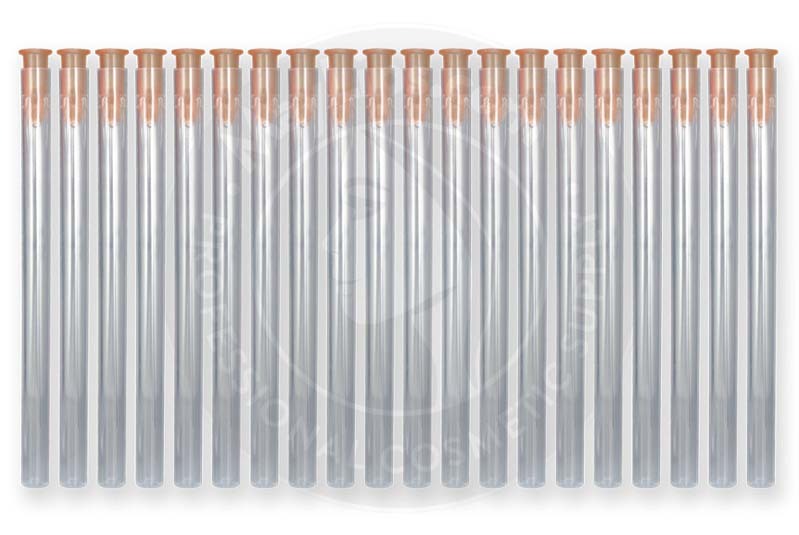 Size: 20 25G/70mm needles (small area) or 20 24G/100mm (medium-large area). Contains needles only. Also Included: Contains 20 needles. Needles only, solution not included. Storage: Store in sealed packages.